Staples is selling the Dell S2817Q 4K monitor with built-in speakers for $260 right now. Upgrading to a pixel-packed 4K setup usually costs an arm and a leg, but prices have been slowly dropping down, and today, Staples has a nice deal on a big-screen 4K display that won’t break the bank. 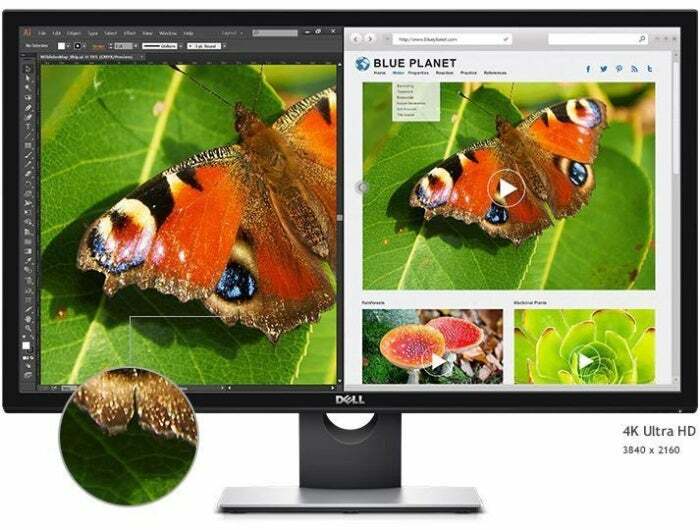 The office supplies retailer is selling the Dell S2817Q, a 28-inch 4K monitor, for $260. That's nearly 50 percent off its list price, and $170 cheaper than you can get it direct from Dell. This monitor is pretty basic as 4K displays go. It doesn’t have any special features like HDR, FreeSync, or anything like that. It’s also a TN display, which means it’ll have poorer viewing angles than IPS panels. On the upside, the Dell monitor has a speedy 2ms response time, a 60Hz refresh rate, built-in 9W speakers, and of course, that glorious 3840-by-2160 resolution. The monitor also takes advantage of all those pixels with picture-in-picture and picture-by-picture modes. The underside of the monitor packs a pair of HDMI ports, a pair of USB ports, one DisplayPort, and one mini DisplayPort. It’s a nice little monitor at one heck of a bargain price. In fact, this is even a tiny bit cheaper than the last time Staples had this monitor on sale. Back in January, the retailer sold it for $270. If you’re looking to upgrade to 4K and don’t mind spending a little more to get premium features like high-dynamic refresh (HDR) and a crisp, factory-calibrated IPS display, Dell still has the 27-inch 4K HDR UltraSharp U2718Q available for $500—$240 off the retail price. That deal also comes with a $200 electronic gift card for Dell’s online store.